"How to change highlighter color in the Adobe Acrobat Reader DC"
If you are reading a document. 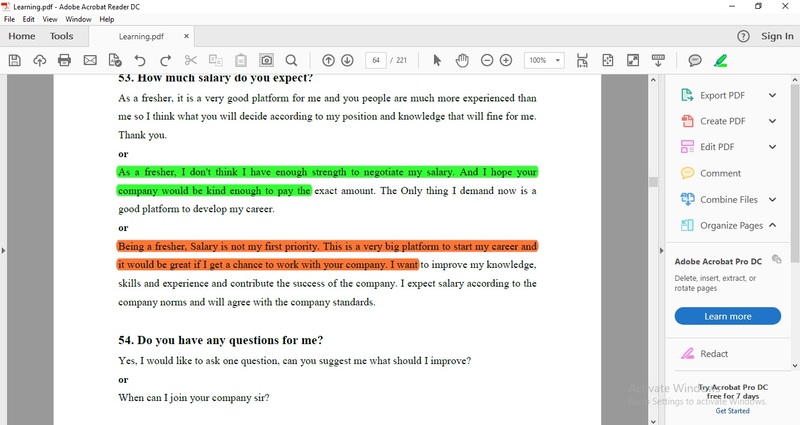 Then want to highlight any of the text or image or anything else of the paragraph in the adobe acrobat reader DC with different different types of highlighter color with the different level of opacity. You can highlight this text or image easily by getting help of the adobe reader. But your question may be, How to do it? So that's why, I am here to present this article to share the information about your query - changes of highlighter color in the Adobe Acrobat Reader DC. In this post, you will learn about your query - how to changes of highlighter color in any of pdf using the Adobe Acrobat Reader DC. So, first of all, open the desired pdf file or desired document using Adobe Acrobat Reader DC. Then select the highlighter tool/Pen. Then highlight the text/image/illustration whatsoever you want to make it highlight. Then click on the highlighted text or image or illustration. Then right click on to the highlight text/image or anything else you want to make it highlight. And then make a changes to the color of the highlighter tool in the appearance section. You can also choose the opacity of highlighted color to the text using slider/number. Then click OK to confirm the new color. You will see the highlighter color has changed. This process will be different with the different type of the Adobe Reader versions. This process is apply to the Adobe Acrobat Reader DC. This process may be same for another version.